This video contains all footage from a composite DVD of the Clarence A. Price Home Movie Collection that was compiled by a commercial video transfer firm in the 2000s. This copy of the original DVD was a gift to Digital Watauga by Janie Price King of Sunset Beach, NC. Due to a digital processing error, the frame rate used in creating the DVD sometimes does not match the proper frame rate for the footage, creating the "jumpy," digital blur that sometimes appears when subjects are in motion. In addition, the poor quality of the original reels sometimes causes the footage to flutter or cycle through its frame. There is no way to correct these issues on this video file. In response to these issues, though, Digital Watauga arranged with Ms. King in late 2016 to digitize the original home movie reels one at a time. Of the 26 surviving reels, 10 had deteriorated to the point that they were no longer able to pass through projection equipment. As a result, this footage from the DVD contains some scenes that survive in no other location since they can no longer be reproduced from the original reels. 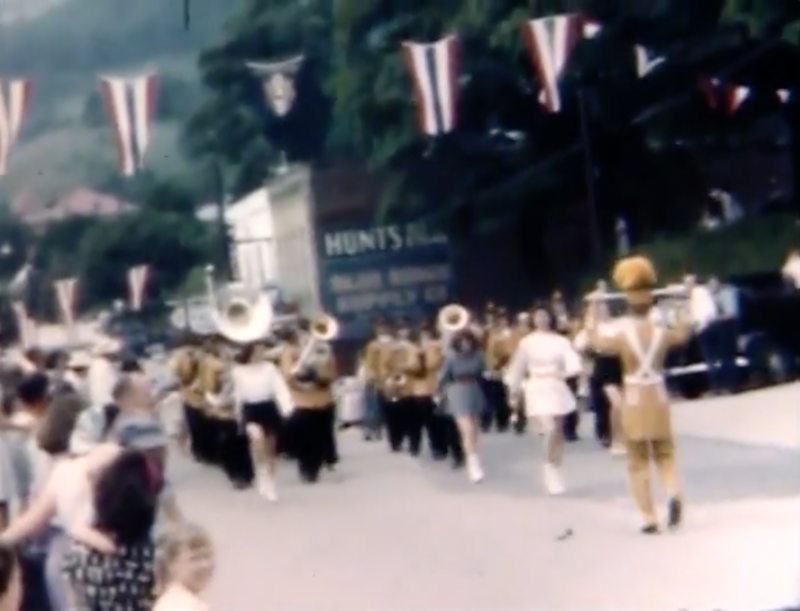 Most notably, the footage of the 1949 Watauga County Centennial Parade is one of these reels. The high-resolution transfers of the remaining 16 reels are being uploaded separately by Digital Watauga. Mr. and Mrs. Clarence A. Price managed the Daniel Boone Hotel on the north side of West King Street in Downtown Boone for many years, and their daughter Janie was a frequent subject in the footage shot by Clarence A. Price. 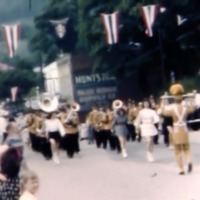 Noteworthy scenes include frequent shots of the south side of West King Street (opposite the Daniel Boone Hotel) in Downtown Boone, especially between present-day Appalachian Street and Depot Street; footage of the new mail truck featuring Palmer Blair (25:30); the 1949 Watauga County Centennial Parade, misidentified as the "Boone Centennial" (33:40), with Palmer Blair again (35:07); the January 21, 1950, fire at the Appalachian Theatre (54:50); the 1950 May Day Celebration at Appalachian State Teachers College (1:02:20); the 1950 Echoes of the Blue Ridge Parade (1:14:36); and the 1953 May Day Celebration at Appalachian State Teachers College (1:42:46). Numerous Boone landmarks are visible throughout the footage, including the Daniel Boone Hotel, the Appalachian Theatre, the Boone Post Office, and the Jones House. Music audio that was added to the DVD original was removed from the online posting of this file in order to avoid copyright complications. The archival file retains this audio. Clarence A. Price, “Clarence A. Price Home Movie Collection (DVD),” Digital Watauga, accessed April 25, 2019, http://digitalwatauga.org/items/show/3208.